Dubbed as La Isla Bonita or the Beautiful Island, La Palma is a genuinely captivating lozenge-shaped land in the Canary Islands. Although not as famous as the other islands, its natural beauty, and surviving traditions make it worthy of its moniker. La Palma is not known for posh holiday resorts nor is it loved for world-class theme parks and zoos. But what the island has to offer, though, are its well-preserved diverse land and seascapes at every corner. La Palma’s temperate climate, topography, and ecosystem, resulted in one of Spain’s most breathtaking landscapes. From historic villages to stunning geological formations, unforgettable experiences await visitors. Barlovento, on the northeastern coast of the island, is surrounded by lush green landscape and awe-inspiring that plunges down to the sea. Head over to the La Tosca Viewpoint for a sweeping view of the Atlantic Ocean. At La Fajana natural pools, guests can take a pick on where to take a dip. Next to Barlovento is the peaceful town of San Andres y Sauces. 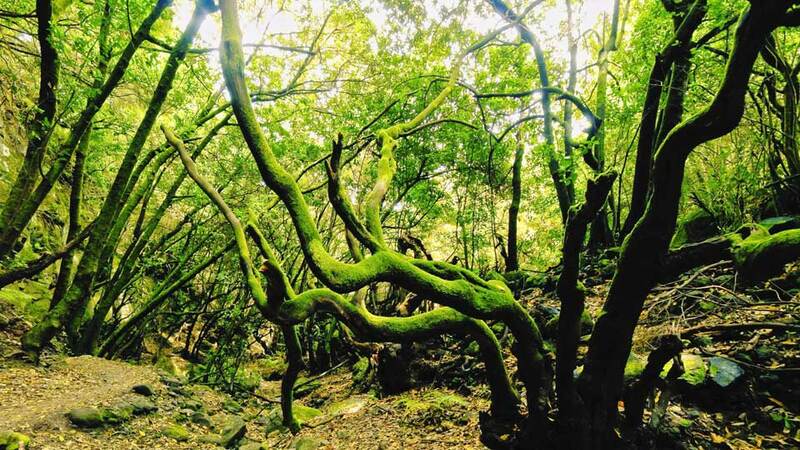 Nearby, visitors can walk through the lush Los Tilos Laurel Forest, the first UNESCO World Biosphere Reserve in La Palma. For a relaxing swim, the natural pools of Charco Azul are also close by. The northwestern side of the island is a hikers’ haven. La Palma’s highest peak, Roque de Los Muschachos, is situated in Garafia. Glazed and glistening in the sunlight, this must-visit site offers splendid views in and around the island. 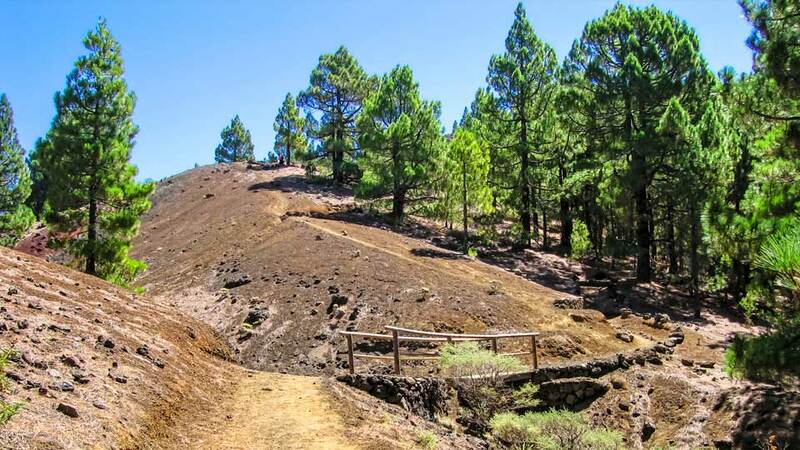 Running from the northern to the central western part of La Palma is the Caldera de Taburiente National Park. Featuring a unique terrain that is a result of a massive and continuous erosion, it looks as though a chunk of land was scooped out. The national park, situated in El Paso, is surrounded by a carpet of Canarian Pine Woods making it the greenest part of the island. Those who have a penchant for rural towns must visit Santa Cruz de La Palma. The historic center of this sleepy and antiquated capital features colonial mansions, churches, and museums with distinctive Canarian-style architecture. The picturesque rural seaside towns are also not to be missed. At Puntallana, enjoy the remoteness, serenity and wild beauty of Playa Nogales. Situated not far from the capital, Brena Alta boasts rolling hills, meadows and the stunning Bajamar Beach. On the central western side, the rustic Los Llanos de Aridane town dominates the scene. 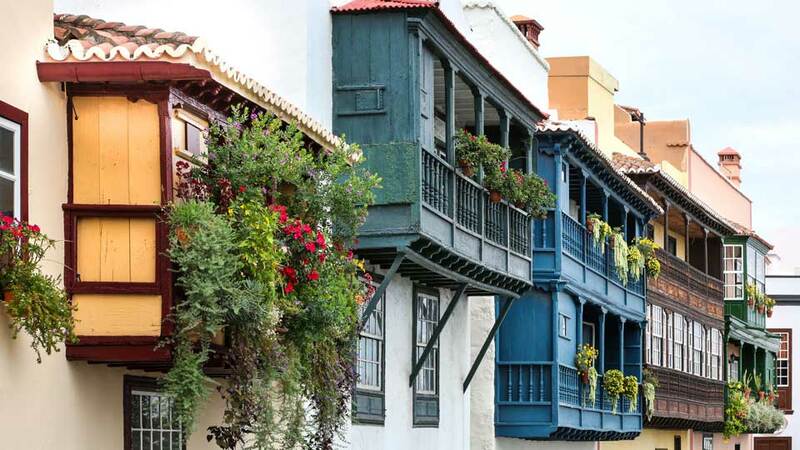 The traditions of the island are encapsulated in the Old Town where a collection of Canarian-style houses is built on lovely cobblestone paths. At the same time, it is proud to have two spectacular blue-flagged beaches, Puerto Naos and Charco Verde. Located beside Los Llanos is the charming Tanzacorte, the sunniest among the municipalities of La Palma. This town features a black sand beach that flaunts one of the most breathtaking sunsets in the Canary Islands. In the southern reaches, outdoor junkies experience the sheer otherworldliness of Cumbre Vieja National Park. Dusty black and red plains interrupted by the craters of Teneguia and San Antonio Volcano are waiting to be explored. This national park is spread across six municipalities, with its tail ending at the southernmost village of Fuencaliente. Apart from the national park, it is also known for its natural labyrinth-like Fuencaliente Salt Fields. Formed by earth, air, and water, it continues to attract and amaze visitors from around the world. Beyond Fuencaliente, the Cumbre Vieja extends to the south forming a submarine volcano. Along the volcanic seabed is one of the most popular dive sites on the island called Las Cruces de Malpique. Here, laid at 25-meters depth are 40 underwater crosses.